The weather could not stop scouts from Simsbury Troop 175 from enjoying an adventurous weekend of hiking in New Hampshire. The weather was a little iffy on Saturday (50-60 mph winds, 1-2” rain and potential for thunderstorms on Mount Washington) The scouts postponed the summit hike and Presidential Traverse until Sunday, when the weather was much better. 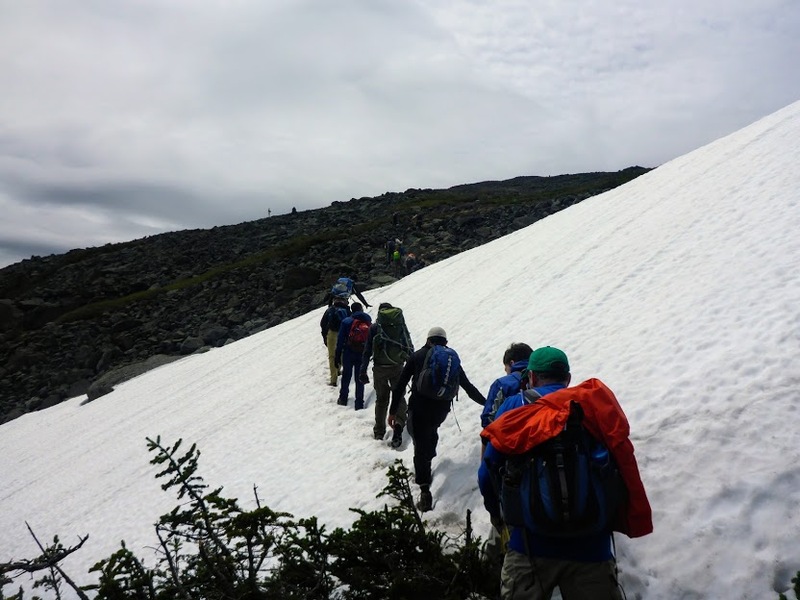 But there were a number of intrepid scouts that hiked Tuckerman Ravine on Saturday in spite of the weather (Tuckerman is less exposed and safe to do on days like Saturday). Check out photos from the trip in the Troop Photo Library. Year-End Troop 175 Picnic and Court of Honor a Success!